Each LeBra is specifically designed to your exact vehicle model; if your model has fog lights, special air-intakes or even pop-up headlights, there is a cover for you. Full front end coverage. Adds style & a custom look to any vehicle. 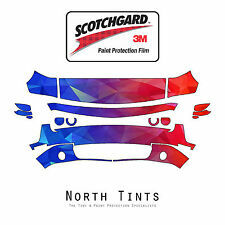 A: No, 3M Scotchgard paint protection film has UV inhibitors that prevent yellowing. A: This is a clear protection car bra that protects against daily wear and tear on the front end of your vehicle. LeBra Front End Cover. This LeBra Front End Cover Fits LeBra Front End Cover. Dodge Challenger 2008-2010. Dodge Challenger 2009-2010. Dodge Challenger 2011-2014. Dodge Challenger 2015-2018. Your LeBra is constructed of 'breathable' vinyl. Dodge Challenger SRT Hellcat 2015-2019. 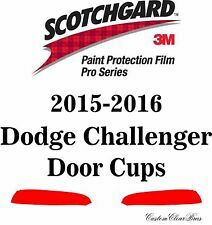 A: The backing paper on all authentic 3M Scotchgard PRO series film does NOT have the red 3M logos. Only the regular 3M Scotchgard series film has red 3M logos on the backing paper. 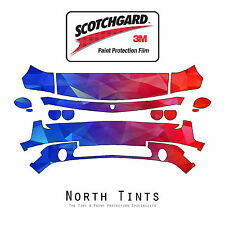 3M Scotchgard 8mil Clear Paint Protection Film for. 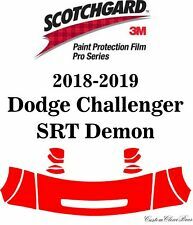 2015-2018 Dodge Challenger, RT, SXT. Every kit is custom cut when you place an order for your specific vehicle. LeBra Front End Cover. This LeBra Front End Cover Fits LeBra Front End Cover. 2016 Dodge Challenger R/T,R/T Plus,R/T Plus Shaker,R/T Shaker,SXT,SXT Plus. Dodge Challenger 2008-2010. Dodge Challenger 2009-2010. LeBra Front End Cover. This LeBra Front End Cover Fits LeBra Front End Cover. 2011 Dodge Challenger R/T,SE. 2012 Dodge Challenger R/T,R/T Classic,SXT,SXT Plus. 2013 Dodge Challenger R/T,SXT. 2014 Dodge Challenger R/T,SXT. Trending at $79.45eBay determines this price through a machine learned model of the product's sale prices within the last 90 days. Fits 2015 2016 2017 2018 15 16 17 18 DODGE Challenger GT, SXT and R/T Models ONLY. LEBRA FRONT END COVER 2 pc system - COLOR: BLACK. Perfectly Fits Your Vehicle And Provides A Glove Like, Aerodynamic Look, Made From Durable Micro-Perforated Leather Grain Vinyl. 2019 Dodge Challenger (SRT Hellcat, SRT Hellcat Redeye). Every kit is custom cut when you place an order for your specific vehicle. 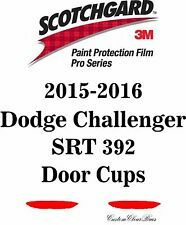 3M Pro Series 8mil Clear Paint Protection Film for. (Partial Hood, Partial Fenders, Side Mirrors, Nose and Front Bumper Protection). LEBRA FRONT END COVER 2 pc system - COLOR: BLACK. 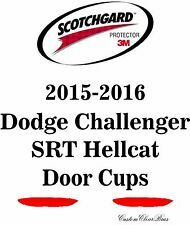 Fits -DODGE Challenger (except SRT8) 2011 2012 2013 2014 11 12 13 14. Perfectly Fits Your Vehicle And Provides A Glove Like, Aerodynamic Look, Made From Durable Micro-Perforated Leather Grain Vinyl. Dodge Challenger 2008-2010. 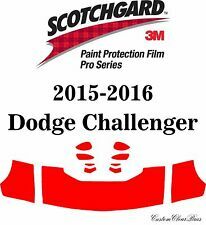 A: The backing paper on all authentic 3M Scotchgard PRO series film does NOT have the red 3M logos. Only the regular 3M Scotchgard series film has red 3M logos on the backing paper. LEBRA FRONT END COVER 2 pc system - COLOR: BLACK. Perfectly Fits Your Vehicle And Provides A Glove Like, Aerodynamic Look, Made From Durable Micro-Perforated Leather Grain Vinyl. Fits -DODGE Challenger SRT8 ONLY 2008 2009 2010 08 09 10. LEBRA FRONT END COVER 2 pc system - COLOR: BLACK. Fits the Models Specified Below Only Perfectly Fits Your Vehicle And Provides A Glove Like, Aerodynamic Look, Made From Durable Micro-Perforated Leather Grain Vinyl. Carbon Fiber Style, For an aggressive modified accent for any vehicle. Hood / Bonnet Mask Installation. Final Step: Your Hood Mask Has Been Installed. All New Diamond Style, For that V.I.P luxury style. Fits 2015 2016 2017 2018 15 16 17 18 DODGE Challenger GT SXT and RT Models. LEBRA FRONT END COVER 2 pc system - COLOR: BLACK. Fits the Models Specified Below Only Perfectly Fits Your Vehicle And Provides A Glove Like, Aerodynamic Look, Made From Durable Micro-Perforated Leather Grain Vinyl. Dodge Challenger 2015-2018. 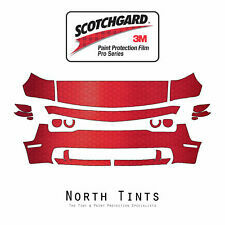 A: The backing paper on all authentic 3M Scotchgard PRO series film does NOT have the red 3M logos. Only the regular 3M Scotchgard series film has red 3M logos on the backing paper. 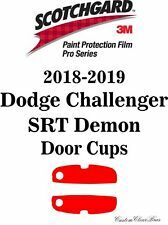 From the makers of the Original Stretch-to-Fit bras and mirror covers, NoviStretch Performance Protective Covers are available for your 2008 Challenger. Special Features of NoviStretch™ 3rd Gen Challenger Bras. Authorized Lebra Dealer. Fast & Free Shipping! Still Made in USA using premium Haartz vinyl, new applications and patterns are added weekly. Features that make Colgan Custom Bras the BEST include No Loose Parts - Everything is attached to the bra. Dodge Challenger 2011-2014. 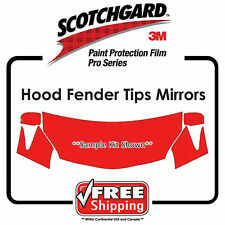 A: The backing paper on all authentic 3M Scotchgard PRO series film does NOT have the red 3M logos. Only the regular 3M Scotchgard series film has red 3M logos on the backing paper. FRONT END COVER BY LeBRA. Easy Hood Access - Your LeBra will fit your vehicle like a glove. Each LeBra is specifically designed to your exact vehicle model. 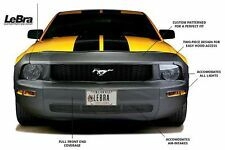 If your model has fog lights, special air-intakes or even pop-up headlights there is a LeBra for you. LEBRA FRONT END COVER 2 pc system - COLOR: BLACK. Fits 2011 2012 2013 2014 11 12 13 14 DODGE Challenger (except SRT8 ). Perfectly Fits Your Vehicle And Provides A Glove Like, Aerodynamic Look, Made From Durable Micro-Perforated Leather Grain Vinyl. 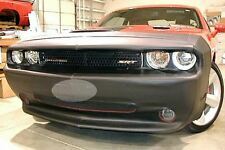 Challenger 3rd Gen Novistretch Front Bra. Includes a One Year Limited Warranty through NoviStretch™. Protect your Challenger 2008 through 2019 front bumper in style with Novigo Designs NoviStretch™ Performance Protective Stretch Bra. LeBra 55130801 551308-01Front End Cover. Public Forums. Need to make a change?. Disclosure of Information Policy. Your credit card information is encrypted while traveling the Internet. For their protection, we ask that children do not submit information to us without the consent of a parent or guardian. Colgan Car Bra. This Colgan Car Bra. Colgan remains Made in USA using premium Haartz vinyl! This Colgan Car Bra Fits Just compare Colgan to the other guys., the materials used superior, and a faster turn around since they'reMade in USA. 45 years later, Colgan’s Original Car Bra fits and performs better than any other car bra on the market. The Car Bra is crafted from durable, UV-coated vinyl for long-lasting protection that won't fade, shrink or stiffen. Challenger 3rd Gen Novistretch Mirror Bra Covers. Includes a One Year Limited Warranty through NoviStretch™. Protect your Challenger 2008 through 2019 mirrors in style with Novigo Designs NoviStretch™ Performance Protective Stretch Bra. LeBra Front End Cover. This LeBra Front End Cover Fits LeBra Front End Cover. 2009 Dodge Challenger R/T,SE. 2010 Dodge Challenger R/T,SE. Dodge Challenger 2008-2010. Dodge Challenger 2011-2014. FREE Applicator Kit! It will protect all clear coated automotive painted finishes. It can be left on or used temporarily. It has been used by many OEM manufactures for new vehicle paint protection for over a decade. 4.5 out of 5 stars - Paint Protection Road Warrior Plus Liquid Clear Coating Pint FREE Applicator! 5 product ratings5 product ratings - Paint Protection Road Warrior Plus Liquid Clear Coating Pint FREE Applicator! 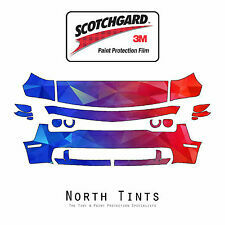 PRO SERIES IS 3M NEWEST PAINT PROTECTION PRODUCT AND IS SELF HEALING AND IS CLEARER THEN THE ORIGINAL SCOTCHGARD. 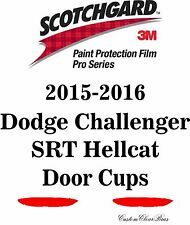 THIS ITEM IS FOR A 2015-2016 DODGE CHALLENGER RT OR SXT CLEAR BRA PRE-CUT KIT. WE ALSO HAVE KITS FOR MOST MAKE AND MODELS NEWER OR OLDER AND ALSO MOTORCYCLE KITS, SO IF YOU DON'T SEE WHAT YOU NEED JUST ASK US. Trending at $185.00eBay determines this price through a machine learned model of the product's sale prices within the last 90 days. Kit Includes: PreCut Paint Protection Film for the Left and Right Side Mirrors. Transparent Professional Urethane Film (Paint Protection Film, also known as Clear Bra). The film consists of durable eight mil (.008") clear urethane plastic which has a clear-coat finish for maximum shine under the sun. 2008 Dodge Challenger SRT8. 2009 Dodge Challenger SRT8. 2010 Dodge Challenger SRT8. LeBra Front End Cover. This LeBra Front End Cover. This LeBra Front End Cover Fits LeBra Front End Cover. Dodge Challenger 2009-2010. Special Features of NoviStretch™ Mirror Covers. Special Benefits of NoviStretch™ Mirror Covers. With no required hardware the NoviStretch™ Mirror Cover is design for quick and easy installation and removal of the mask with no cutting, drilling or alteration to the vehicle required by simply sliding over the mirror housing and adjusting by hand for optimum fit. LEBRA FRONT END COVER 2 pc system - COLOR: BLACK. Fits -DODGE Challenger SE & RT ONLY 2008 2009 2010 2011 08 09 10 11. Perfectly Fits Your Vehicle And Provides A Glove Like, Aerodynamic Look, Made From Durable Micro-Perforated Leather Grain Vinyl. Colgan Car Bra. This Colgan Car Bra. This Colgan Car Bra Fits Colgan remains Made in USA using premium Haartz vinyl! Just compare Colgan to the other guys., the materials used superior, and a faster turn around since they'reMade in USA. LeBra 551525-01 Front End CoverLeBra 551525-01 Front End Cover Lebra Custom Front End Cover. Public Forums. Need to make a change?. Disclosure of Information Policy. Your credit card information is encrypted while traveling the Internet. FRONT END COVER BY LeBRA. Each LeBra is specifically designed to your exact vehicle model. If your model has fog lights, special air-intakes or even pop-up headlights there is a LeBra for you. LeBra FrontEnd Covers are warranted to be free from defects in material.